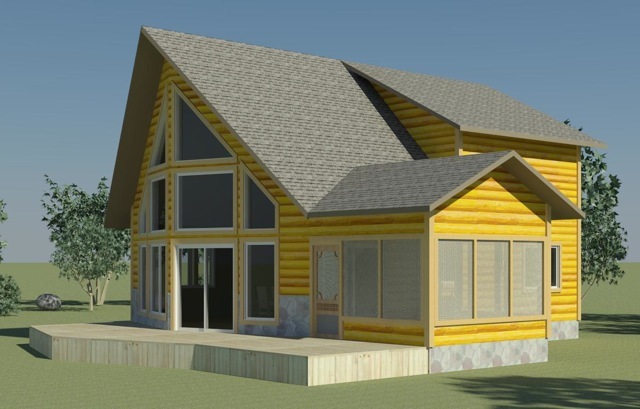 This Dream Builder cottage nestled in amongst Pine trees is a perfect fit for a couple or small family. 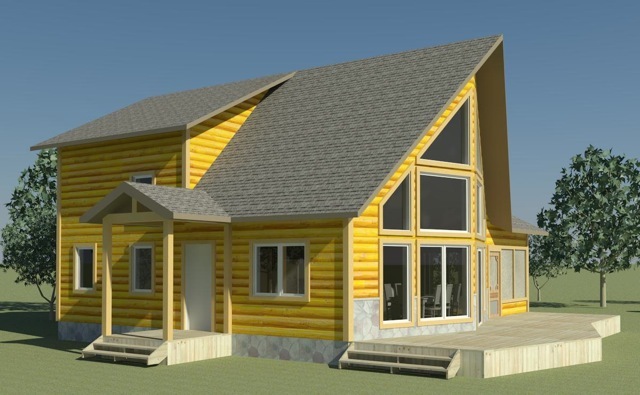 This large A-Frame Cottage incorporates a great room, two bedrooms, kitchen, laundry room, one bathroom, as well as a four-season sunroom. 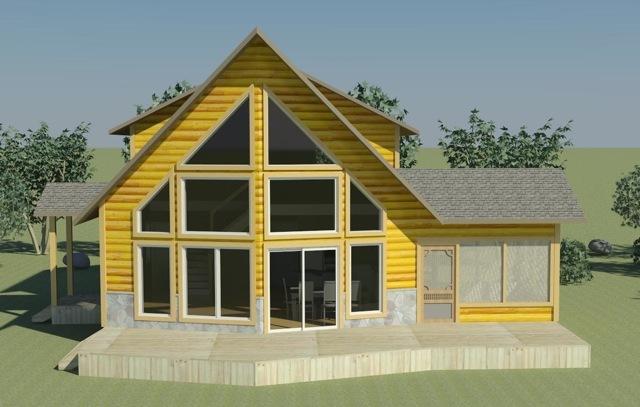 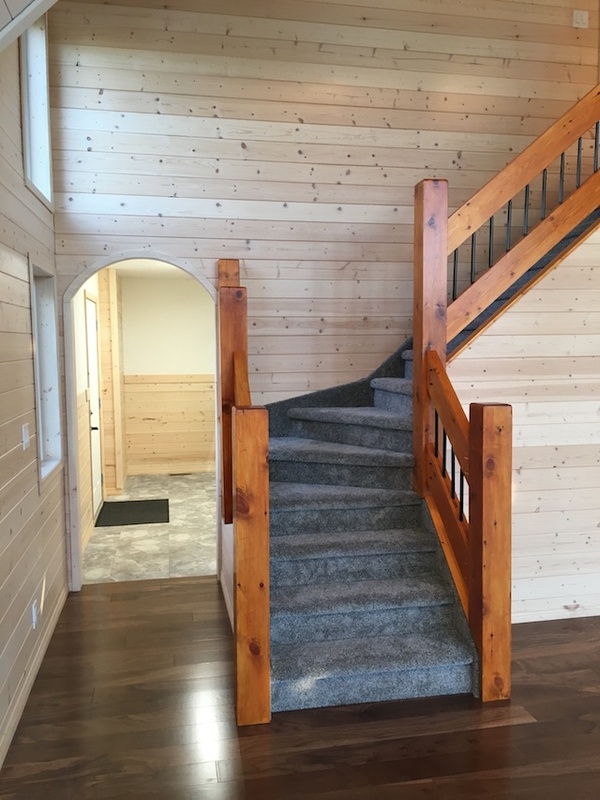 The main floor is 884 square feet with a loft area of 340 square feet, and a sunroom of 144 square feet. 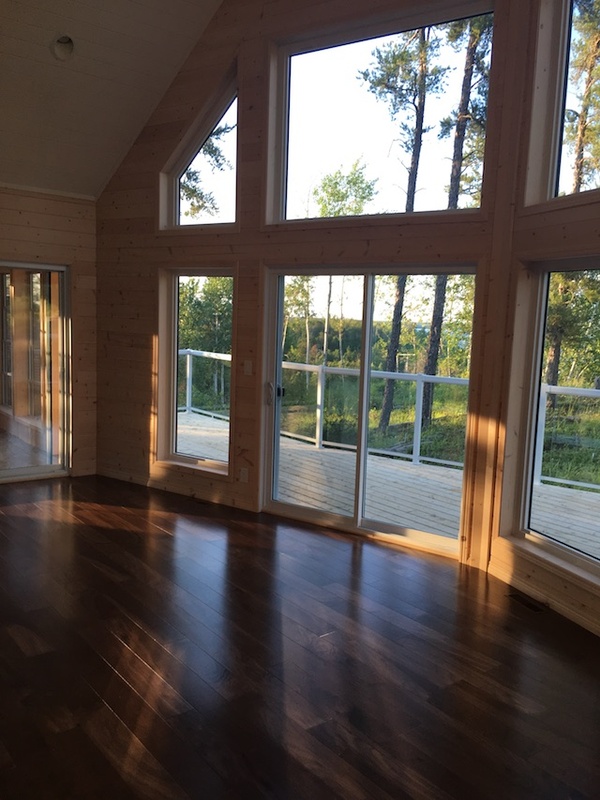 A front deck with spacious room of 380 square feet is a place to enjoy your morning coffee.